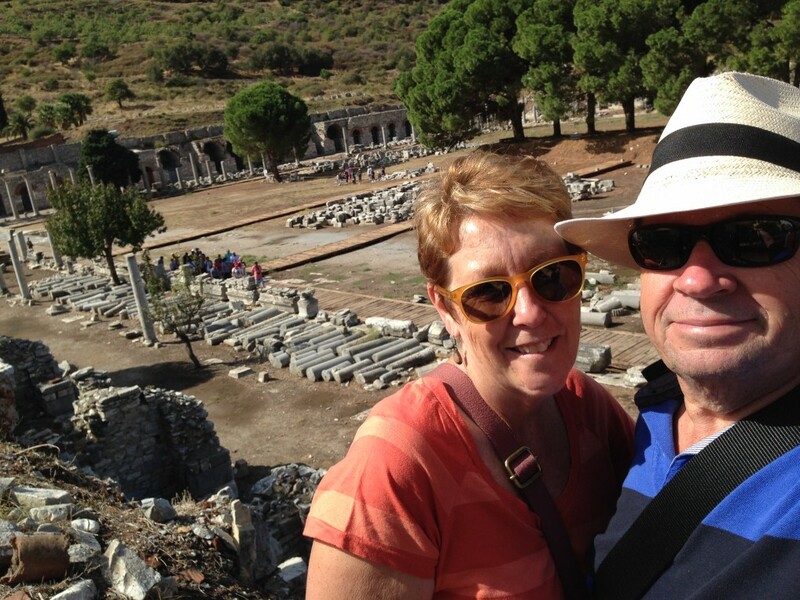 Travelled: 496 Klm from Vourvourou, Sithonia to Eceabat, Turkey., then 65 Klm around Gallipoli. 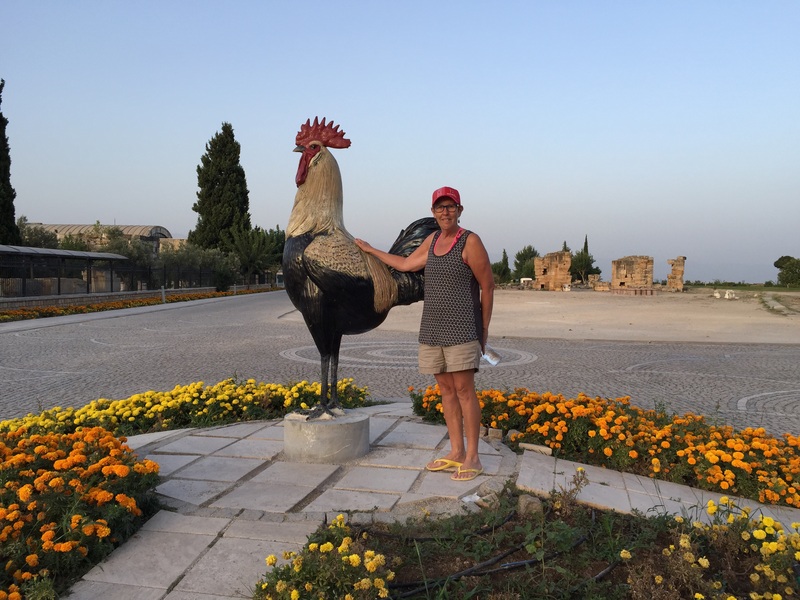 Budget: €89 per day at last check before entering a Turkey. Given the TL we will re-calculate on exiting Turkey. We enjoyed a pizza in a little restaurant in Vourvourou and a couple of drinks following our afternoon at the beach. Did I mention every second restaurant in Greece appears to be a pizza place. 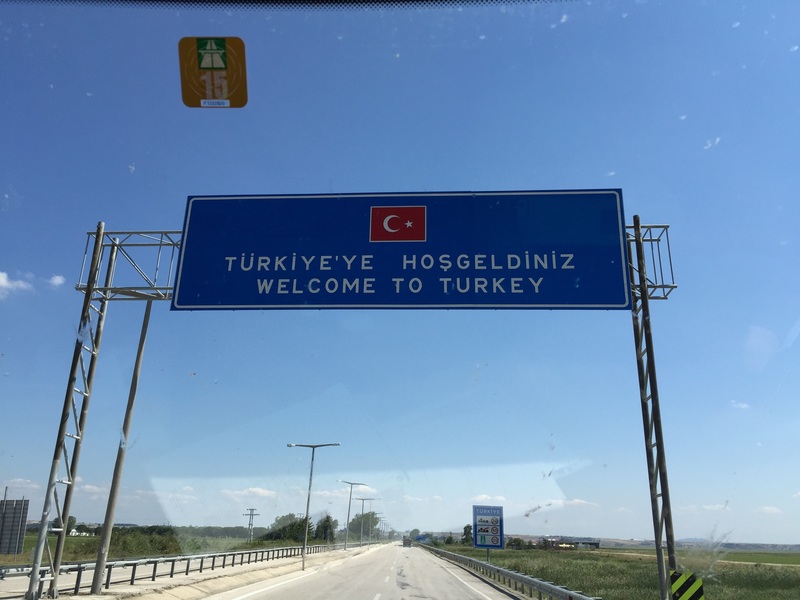 Today the long drive to Turkey. Our plan as far as we do plan is to make for the E90, it’s about an hour from Vourvourou, then head east. We fill with diesel and LPG, two weeks of travel and our LPG bill is less than €8. The freeway makes it as easy as a long drive can be. It’s country and western day, so we listen to The man in black, Wayland, Willy, Glen and Dolly and a lot more as we cruise along. The Bulgarian border is on our left hand side, just over the mountain for most of the day. The country is very green and lush most of the way. 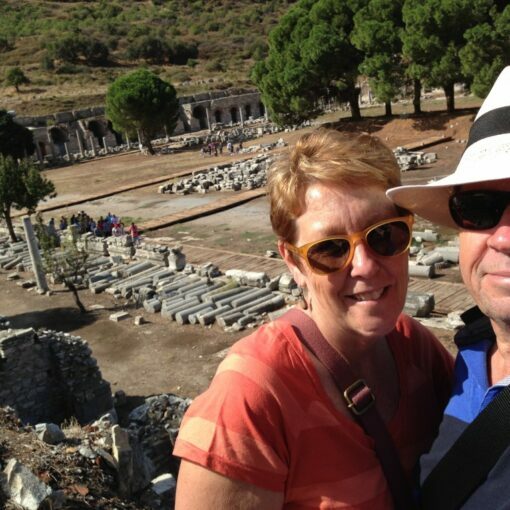 Lots of solar farms rather than wind turbine, so we presume the Greeks listen to Alan Jones and 2GB. 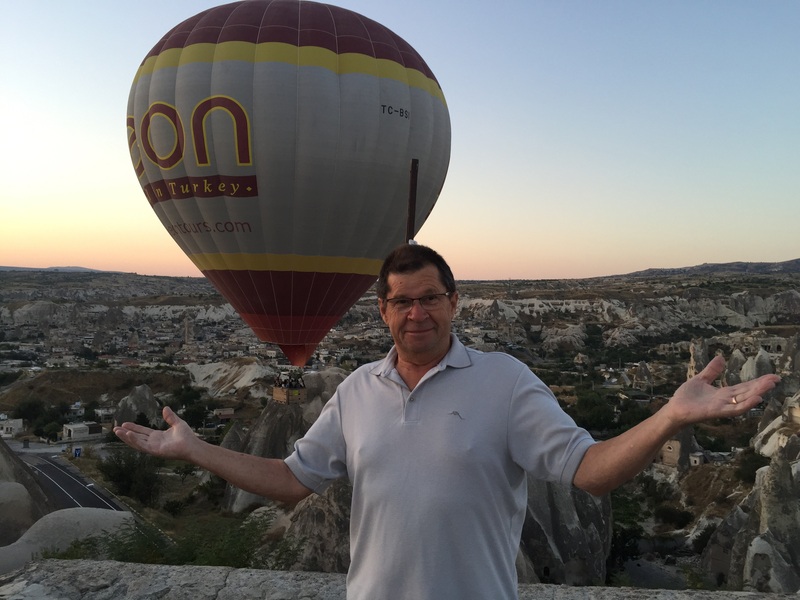 In no-mans land, Turkey. Lots of little windows to go to yet. 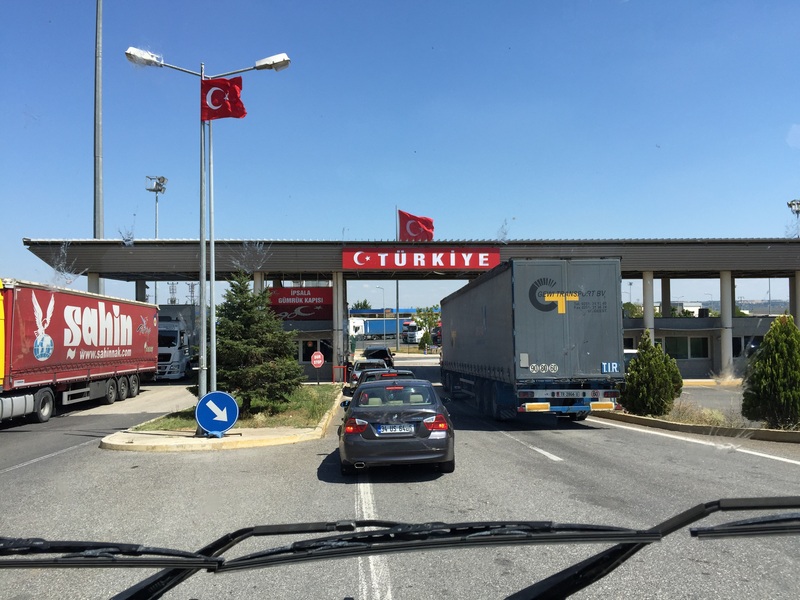 We arrive at the Turkish frontier about 1pm to start the bureaucratic processes of departing the EU and entering Turkey. The complexity mostly regarding Australians driving a UK registered vehicle and the various insurances. There appeared to be something of a mystical feel to the process as I was sent to one window a man would look at the papers and direct me to the next window, after several windows I was told I needed some addition paperwork. 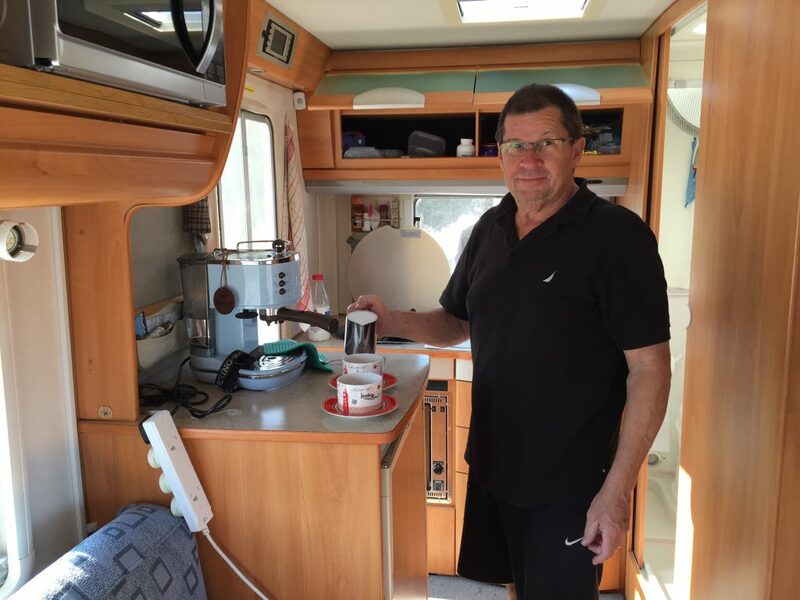 Back to the Hymer to shuffle paperwork about then back to the first man in the window to go through the process again. Finally the secret became self evident, give a man in that office €60 cash (sorry no credit cards) and your in ! By the way it’s now 2 pm. Made it through ! From reading other bloggers, it was about what we expected. 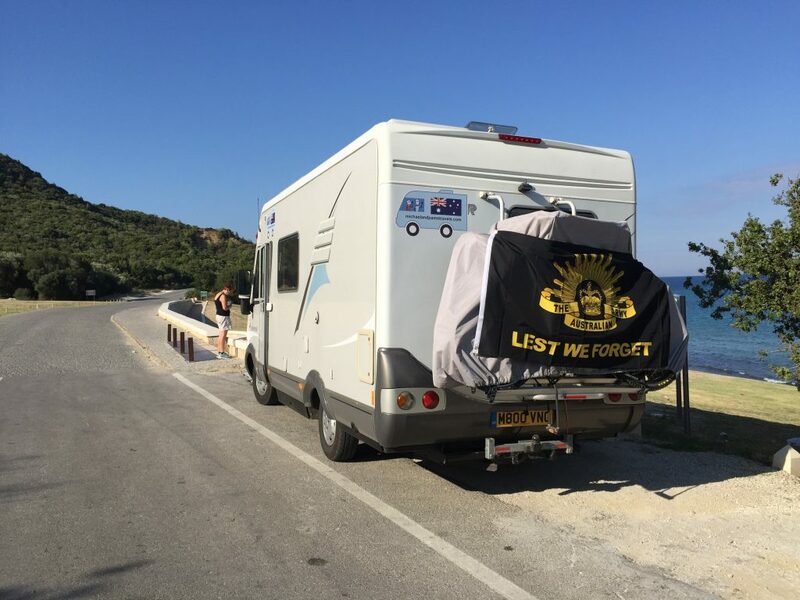 We feel a bit uncomfortable on our first afternoon, but the people we have spoken to have been very friendly, we make our way to a supermarket to get some fresh fruit before heading on down the Gallipoli Peninsula. As we turn down on the Dardanelles, the vista is something unexpected as a Celebrity Cruise ship passes quite close to the road. Ships are busy making there way to Istanbul or perhaps then onto Russia via the Black Sea or back. 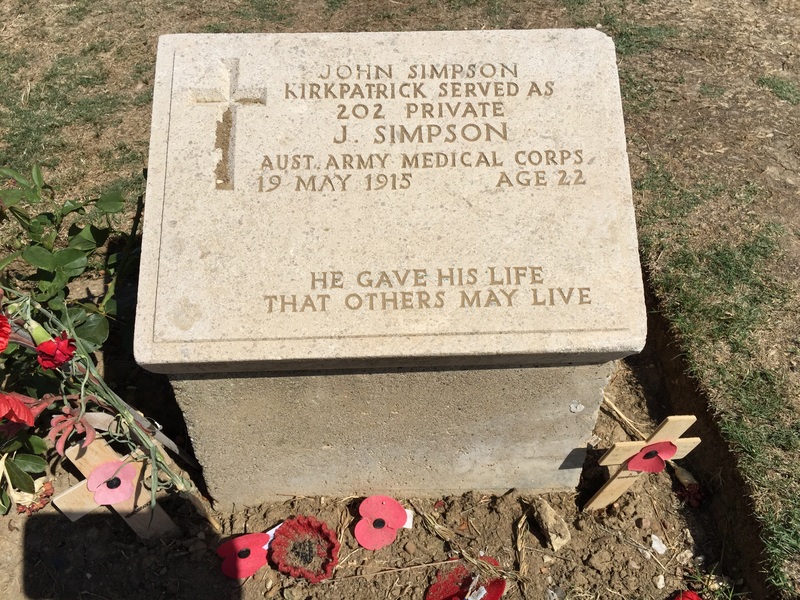 Viewed against the dry hills of the Dardanelles it’s not something we are likely to see again. The beautiful gardens of the memorial. The bronze statue is very similar to the Diggers statue in Fromelles. 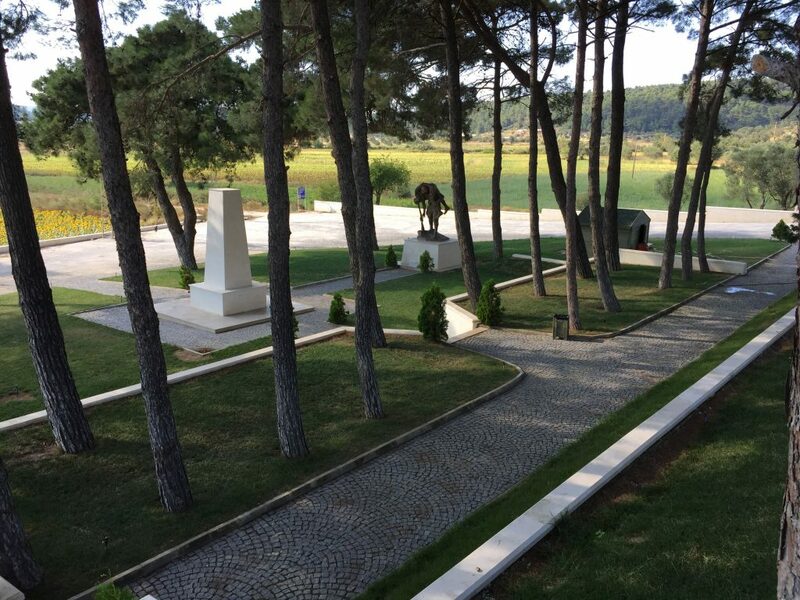 Passing through Gelibolu we stop at a Turkish War Memorial, beautiful designed and maintained. On we continue south arriving at Eceabat late in the afternoon. A random turn down to the waterside we are accosted by a bar owner to stop and have a drink. He gives us a place to park and that’s our day other than having a few drinks and catching up with grandchildren on the net. There is a good breeze off the water and it’s a quiet evening for a good sleep. I hear the final call to prayer about 9.30 pm and again for the first call just before 5.30 am. 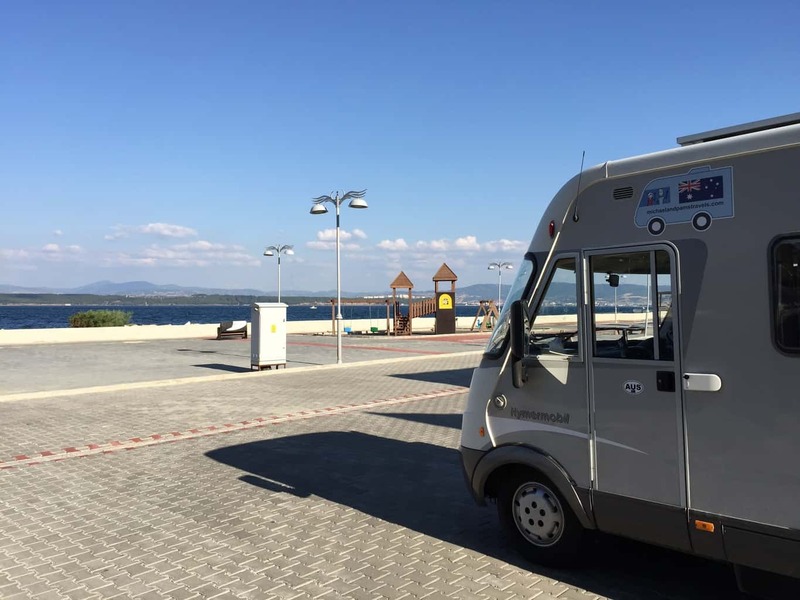 Our spot in Eceabat, the Dardanelle Straights our view. Dinner and a few drinks in this little place, it had great internet as well. We had a little argument over the bill, but some adjustment and everyone was happy. 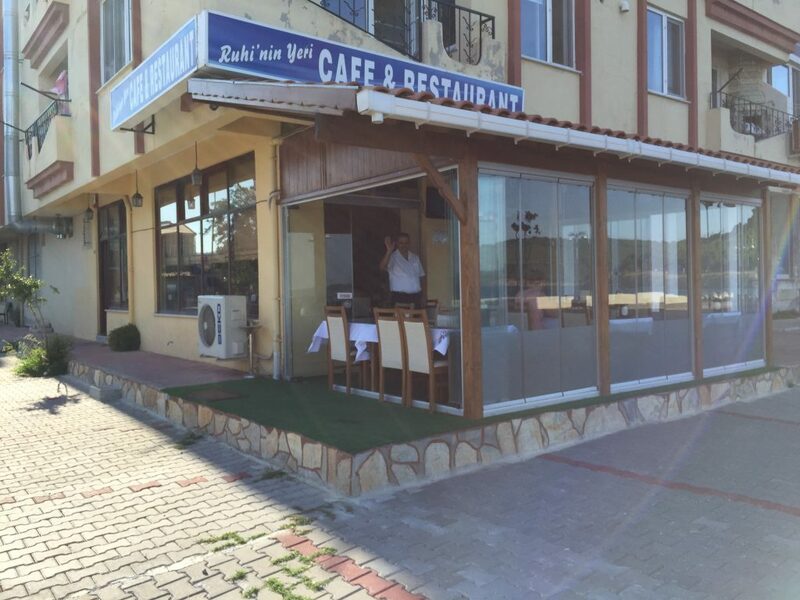 It’s coffee and fruit for breakfast, whilst looking out at the Dardanelles this morning. There seems to be an endless line of tankers, freighters and ferries passing by. We fuel up again this morning. Standard diesel is TL3.5 per litre and premium TL3.9. As we use premium if we can get it, that’s around A$2 per litre. We follow the signs for ‘Anzak Kove’ and soon find ourselves on the western side of the peninsula. 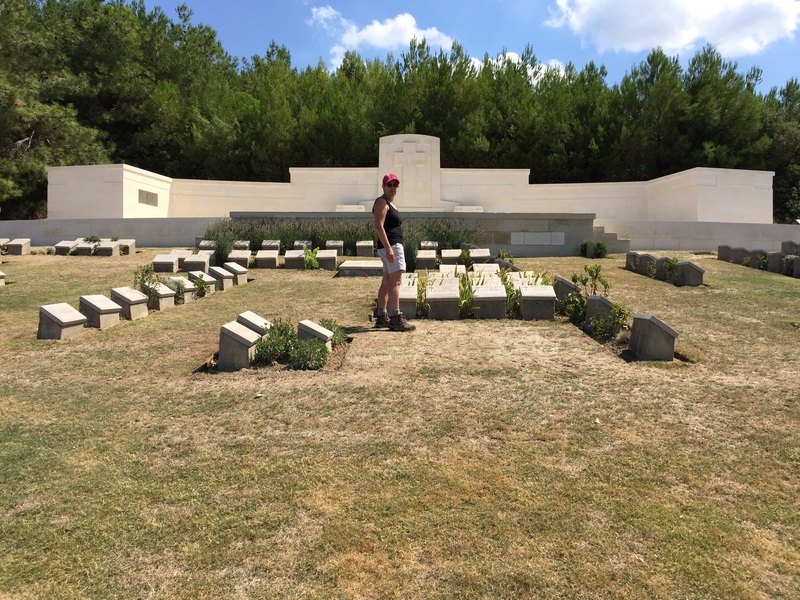 After turning north and travelling a few kilometres we pass a series of small monuments and signs with familiar names, the area opens slightly and we stop at the Anzac Commemorative site. 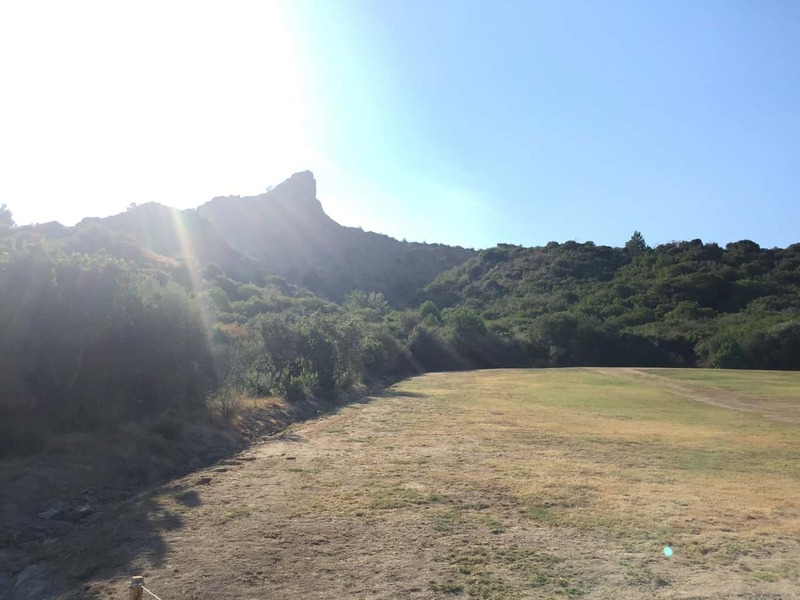 Looking around the area looks familiar, the Sphinx and Plugge’s Plateau hang overhead. Pam asks how did they fit 15,000 people in here for the centenary? 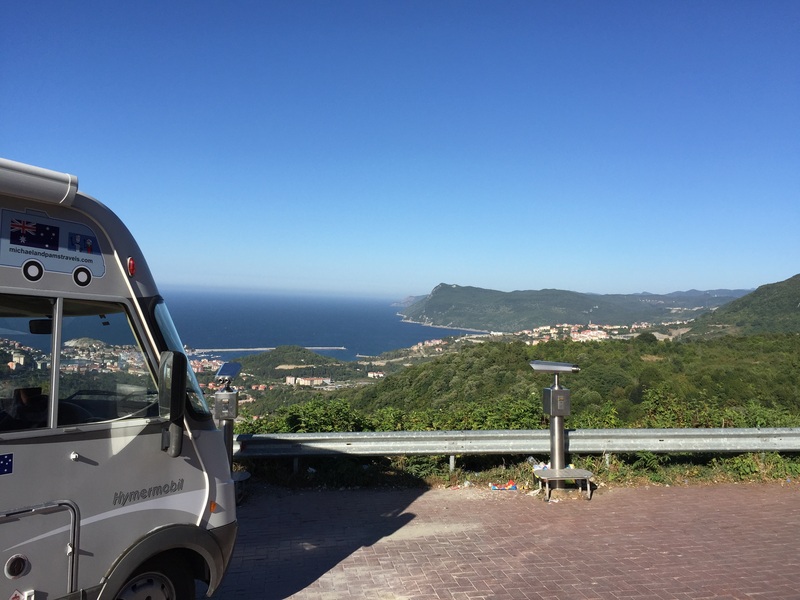 The Hymer got us here without missing a beat. The Sphinx stands out in the early morning sun. 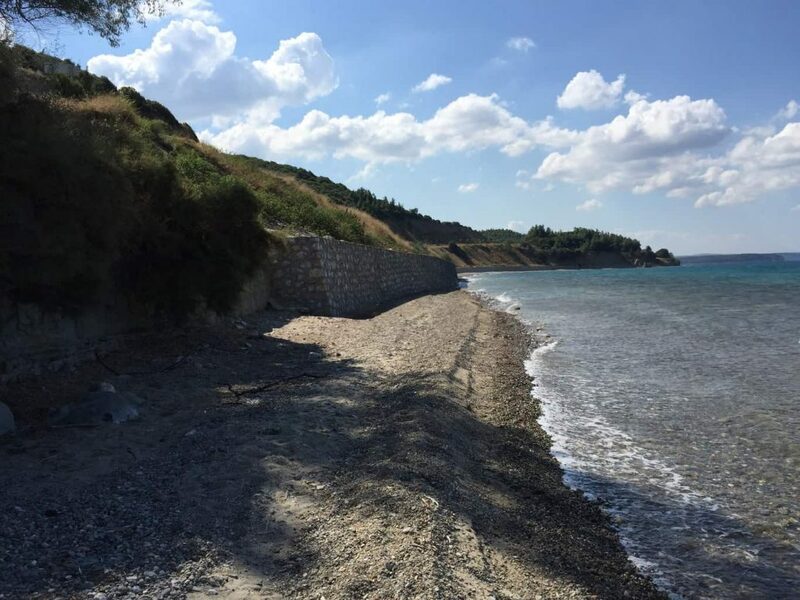 Anzac Cove, between the erosion at the beachfront and the new road above, it cannot be walked without wet feet. 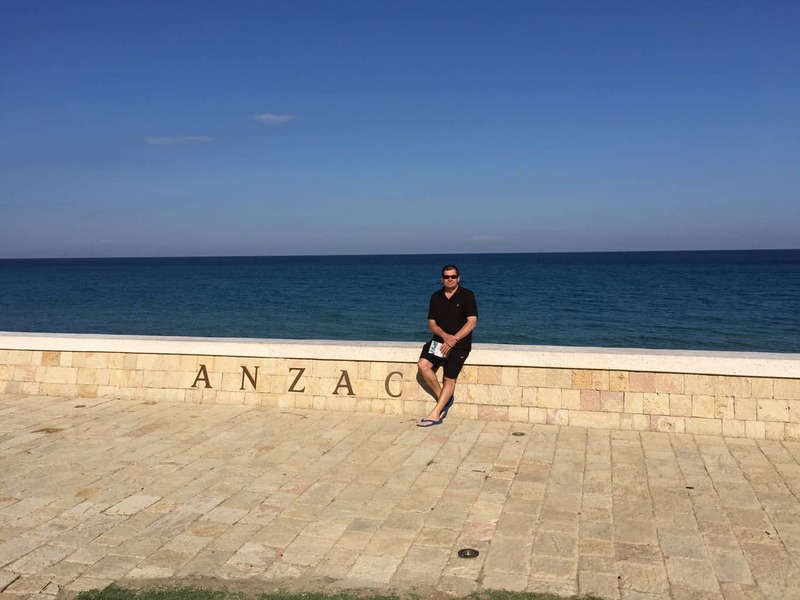 We spend the next few hours following the walking tour from Mat McLachlan’s Gallipoli Edition, ‘Walking with the Anzacs’. 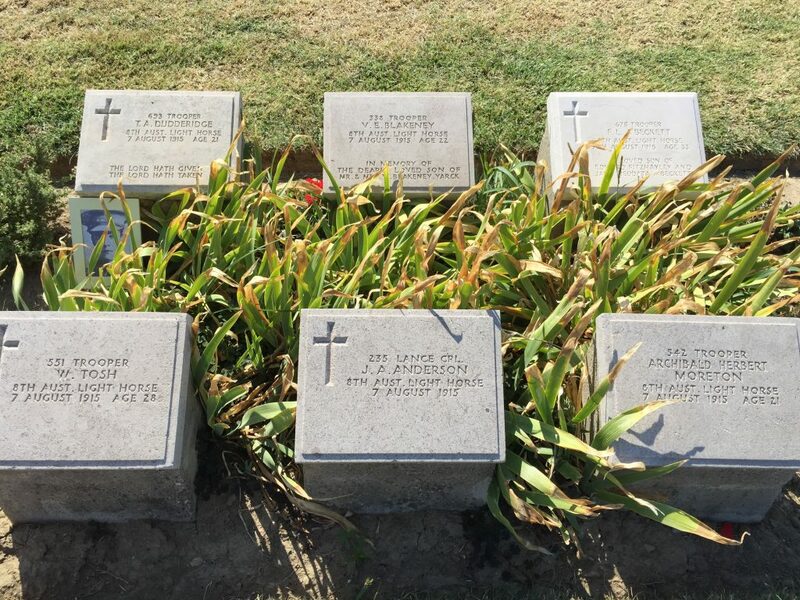 In brief we visited the cemeteries along the lower section of the walk, the beach on Anzac Cove before walking up to Shrapnel Gulley and Plugge’s Peak cemetery on the ridge above Anzac. We stopped and read sections of the book at various points, searched for noted graves. 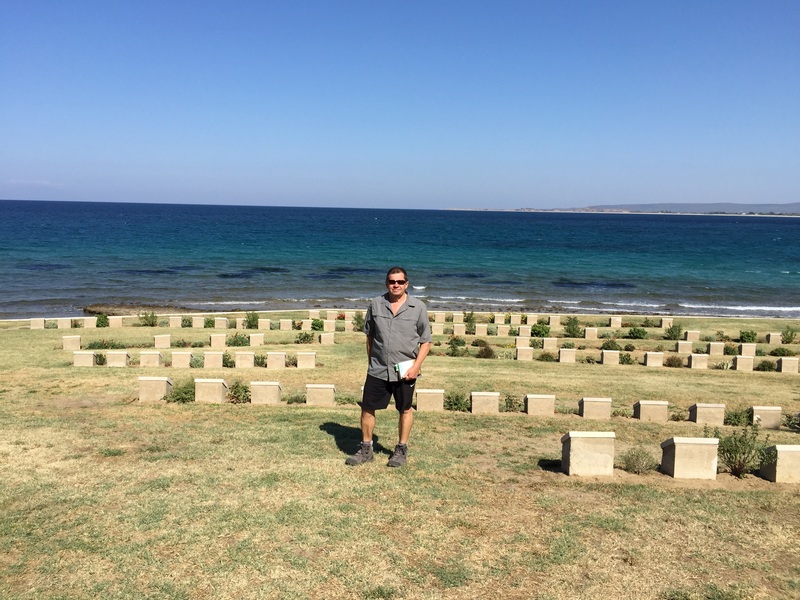 It’s a hard walk up Plugge’s but the view of Anzac, North Beach and on to Suvla Bay makes it well worth the effort. Anzac, North Beach and Suvla in the distance. From the top of Plugge’s Plateau. 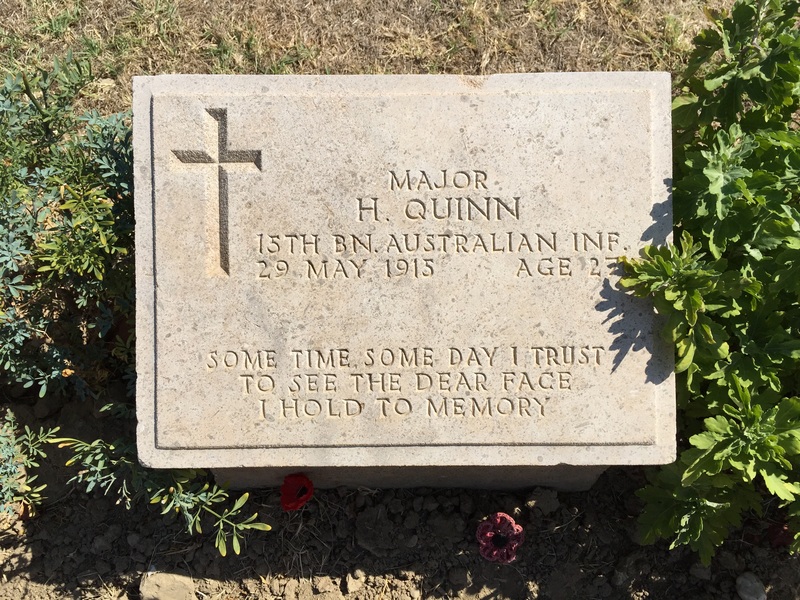 According to the book the most visited grave on Anzac. 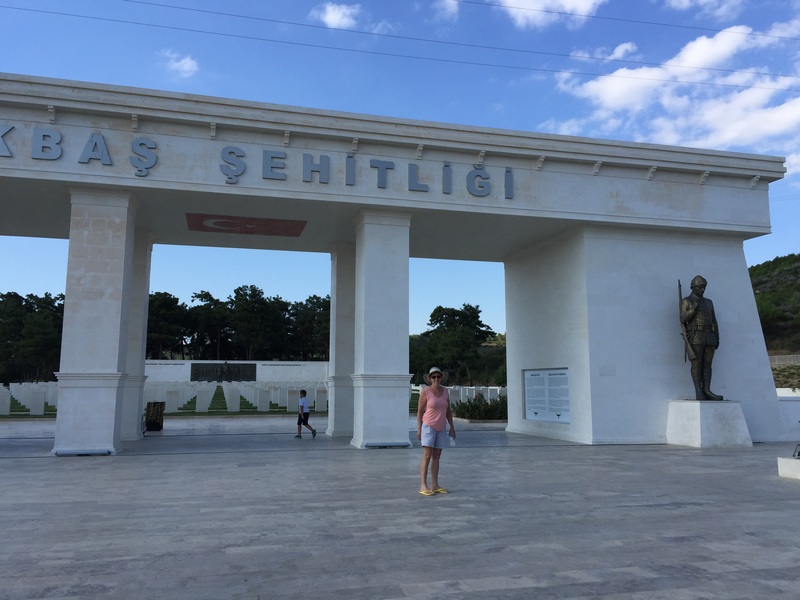 Our afternoon was a drive south to the Helles Memorial at the southern tip of the Gallipoli Peninsula. A late lunch overlooking the Turkish forts and some of the English cemeteries. We find a campsite and it’s time for a little rest. Pam gets a little testy, if she doesn’t get her morning coffee. Does Pam enjoy all the war history? Will you visit and enjoy the shopping as much? Pam you look utterly resplendent in your walking boots by the graves.